Joseph Dunbar has written about finance and health care topics since 2007. He has written for various online publications. Dunbar received his Bachelor of Science in business administration from Suffolk University. He is completing a premedical post-baccalaureate program at the Harvard Extension School. Sodium alginate is a substance that the Food and Drug Administration has listed as generally recognized as safe. In production, sodium alginate is extracted from brown algae and is the sodium salt of alginic acid. It is highly viscous and is often used as an emulsifier and a gelling agent. These properties give sodium alginate a variety of uses in many industries. When sodium alginate is added to paint or dye, it increases the thickness of either substance. This is useful when trying to adjust the consistency of a product without changing its color. Paula E. Burch, Ph.D., recommends that when adding sodium alginate to your paint or dye that you should do so slowly. Sodium alginate has the ability to clump if added to water quickly because of its gelatinous nature. To reduce clumping, either add sodium alginate slowly while stirring or mix the day before in a blender. Molecular gastronomy is a method of applying scientific principles to cooking or baking. 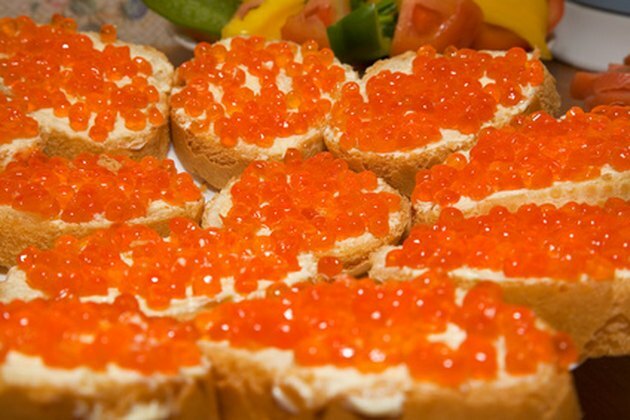 In 2007, Science Careers published an article on how Spanish chef Ferran Adrià imitated caviar by mixing sodium alginate and fruit juice into a calcium solution. When mixed in the right proportions before the addition to the calcium solution, the substance is found to be in liquid form. When expunged through a syringe, drop by drop into the calcium solution, the liquid forms a gelatin coating and resembles individual caviar. A chelator is any substance that removes heavy metal toxins from the bloodstream by binding with them. Heavy metal toxins are found in the bloodstream for a variety of reasons, including diet, exposure to the environment and exposure to materials. In 1966, the National Institutes of Health published findings that sodium alginate in specified doses was capable of reducing absorption of the metal strontium. The study found that even though sodium alginate effectively reduced strontium absorption, it did not affect the absorption of calcium.